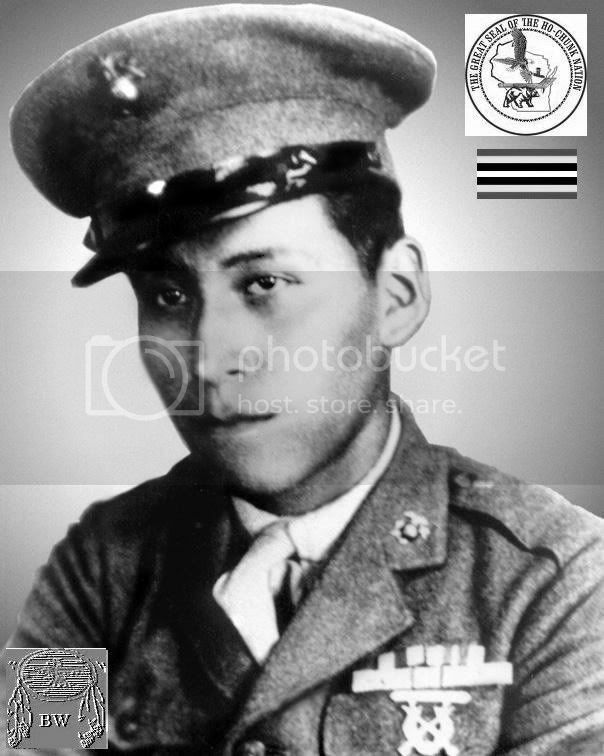 BRAVEHORSE WARRIOR MITCHELL RED CLOUD Jr.
United States Marine Sergeant Mitchell Red Cloud Jr.
Mitchell Red Cloud Jr. A Winnebago Warrior from Wisconsin, and a Corporal in Company E., 19th Marine Infantry Regiment in Korea. On 5 November 1950, Red Cloud was on a ridge guarding his company command post when he was surprised by Chinese communist forces. 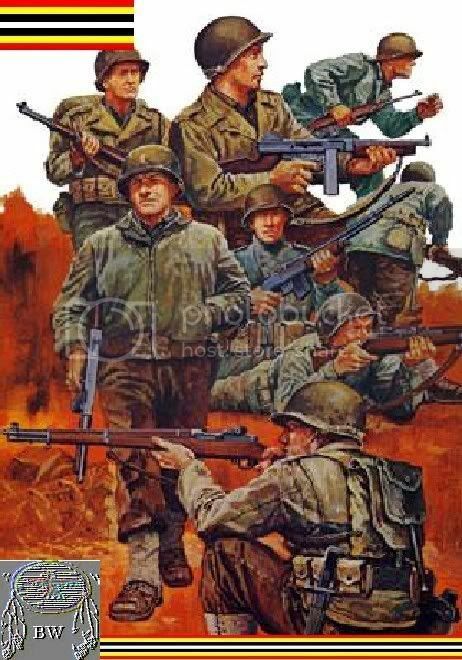 He sounded the alarm and stayed in his position firing his automatic rifle and point-blank to check the assault.